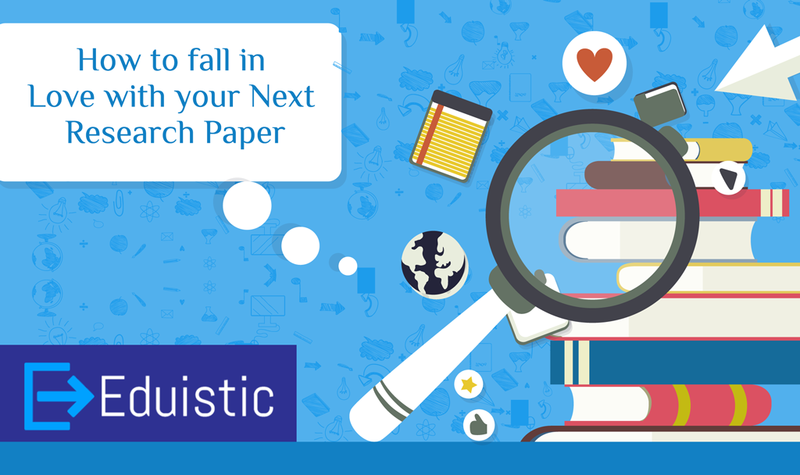 How to fall in Love with your Next Research Paper – Eduistic: Need Expert Help with your Studies? Reward yourself for writing: You can reward yourself after finding a thing or after writing a page or two by, getting yourself a cake, muffin and if nothing you can just remind yourself that you are still working on the roots. Never place your worth for completing something: If you are working and writing regularly on it then you are already good enough and you can reward yourself for that. Don’t push yourself hard: You should be flexible with their schedule, if the tasks for the day is not completed, do not get demotivated. Don’t punish yourself: Don’t be impatient and punish yourself, you should praise yourself for working hard. Find a motivational partner: Find a friend who is also doing research work and talk to your friend from time to time to get motivated. A competition between two friends can also motivate to complete our work early. Think about the benefits: Think about the benefits you will get after finishing your work; it will motivate you to complete your work on time. Research papers give opportunity to write our own views which will help in motivating. Choosing a topic which is familiar helps in caring about the paper and the work. Writing Questions about the topic which is relevant to paper. Ditch your distractions in order to write properly. Brainstorm and cluster your thoughts for effective writing. Be curious about the topic so that it can help in working hard. Read your paper backwards, which will create problems and the curiosity, will increase to know the meanings. ”I hear, and I forget. I see, and I remember. I do, and I Understand”, by Confucius. Follow this and it will be easy working on research papers and a better researcher you will become.